So far, I’ve felt incredibly lucky in how the cover art for my novels have turned out. 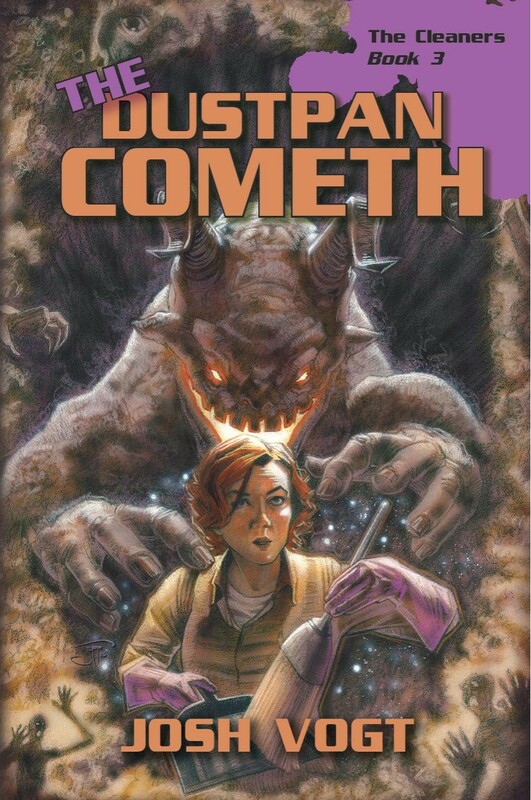 I’ve always had a pretty specific vision for the Cleaners books, and my cover artist, Jeff Herndon, has delivered some spectacular results with each one. 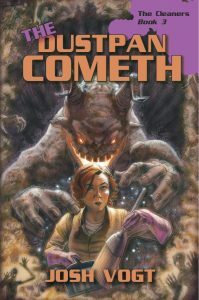 Now, I’m excited to announce that the cover for Cleaners #3: The Dustpan Cometh, is part of the AllAuthor.com June Cover of the Month Contest. There’s over 100 book covers in the running right now, and you can browse through all of them here. Each week, the votes will determine who advances to the next round. Please spare a few seconds to zip over and support The Dustpan Cometh with your vote! I’d love to see this fantastic art get the attention it deserves. If you’d like to help The Dustpan Cometh even more, you can share this post online. Or you can link out The Dustpan Cometh voting page however you’d like.